Mint Mobile is a prepaid wireless carrier using the T-Mobile network. This means that they have coverage in most major cities throughout the United States. 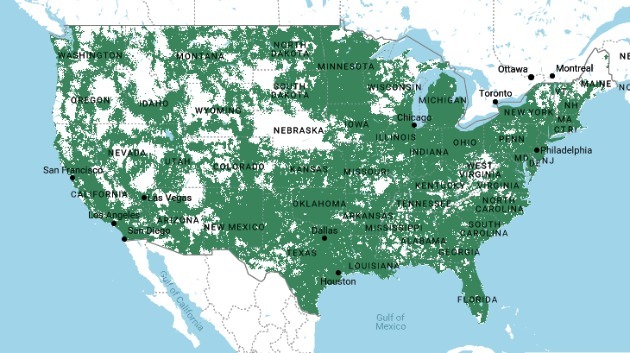 As you can see on the coverage map we’ve provided above, there are very few areas of the country where you won’t have service. Mint Mobile has great coverage in the major metro areas like New York City, Washington DC, Chicago and so on. Just like the T-Mobile network that it is run on they don’t have great coverage in areas of higher elevations in the western United States as well as other places like West Virginia and Nebraska. Overall, they have great coverage and availability on their network for the majority of the United States. Since Mint Mobile runs on the T-Mobile network this means that you can easily bring your T-Mobile phone over to their service easily. You can also bring your own device over from other major carriers like Verizon and AT&T if your phone is compatible. You can check compatibility on their website before purchasing a plan. Do you have Mint Mobile? Leave us your comments about the coverage in your area below. You can also leave any questions you have about where Mint Mobile is available and their coverage below.